The development of SMEs in South Africa plays a significant role in job creation and growing the economy locally and globally. 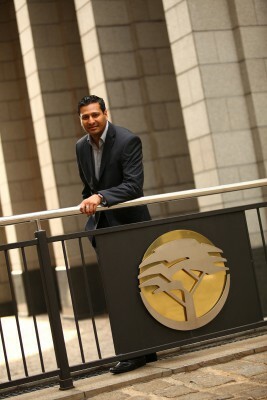 “SMEs in general, serve as a gateway to help grow and sustain our economy and are able to take advantage of business opportunities and niches that larger organisations may neglect or overlook, resulting in them growing quite quickly,” says Sanjeev Orie FNB Business Banking, Head of Products. South African companies have made successful inroads into Africa, and SMEs can also follow this route in a similar manner. Trends such as alternative energy, technology advancements, healthcare and changes in the population demographics are revealing opportunities that smaller companies are most likely able to explore. Current SME sustainability issues are pegged towards what entrepreneurs can achieve and how well they perform and succeed in the current economy. Businesses can benefit by using technology that provides a platform and a host of new digital channels that will help them grow their sales and service footprints. Integrating these new channels into existing and traditional business models will not only complement the business, but serve as a key differentiator. A number of trends around sales and service models are also surfacing. “We don’t need to think about completely radical product ideas or innovations that will help start or grow a business. Simple process changes and use of existing products can also help SMEs leapfrog their competitors. Besides funding, we need a cohesive understanding of the customer’s problem and offering a solution that is customer-centric,” adds Orie. Technology offers customers a whole set of options, it allows them to do their banking faster, help improve competitive advantage and add to the strategic direction of any business. There is a clear move to the digital realm and SMEs need to be able to understand and adapt to this change. FNB’s Instant Accounting, Merchant Services Insights and Instant Payroll, are just some of the ways FNB has made banking for customers easier and helps consolidate and simplify a number of traditionally onerous administrative processes. 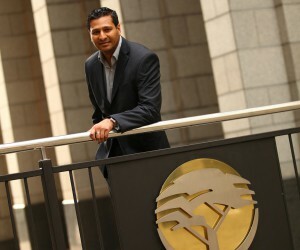 Small business needs support to grow. “Government and the private sector should be actively involved in supporting and helping SMEs with the necessary support and funding to get businesses up and running. Trade has increased and markets have changed with growth targets increasing each year, however, SMEs need to understand the landscape and be cognisant of industry practices,” concludes Orie.